Haircare & SkincareViva IML Tubes currently supplies many different types of tube packaging in the Haircare & Skincare segments. CosmeticsViva IML Tubes' tubesize range from D19 to D55, with round and oval shape. PharmaPharmaceutical tubes don't need to look dull anymore. 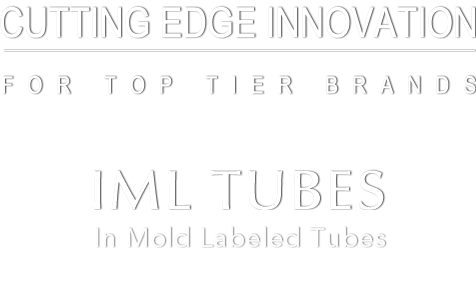 Viva IML Tubes can combine great looks and functional properties in the same tube ! Oral Care Viva IML Tubes are able to apply the same holographic, as well as other high quality effects onto oral care tubes allowing the brand to abandon the cardboard box. FoodFood in tubes has been popular in Europe for some time. The same trend is now developing in the rest of the world and expanding towards many other food products usually in bottle and now considering Viva IML tubes. AmenitiesViva IML Tubes provide mass volume production capacity of simply-decorated amenity tubes for large hotel chains.